Chocolatour at the 2018 International Chocolate Festival in San Mateo, California (top pic) and at the 2016 Grenada Chocolate Festival above. Doreen Pendgracs examining a cacao graft at the Belmont Estate in Grenada. 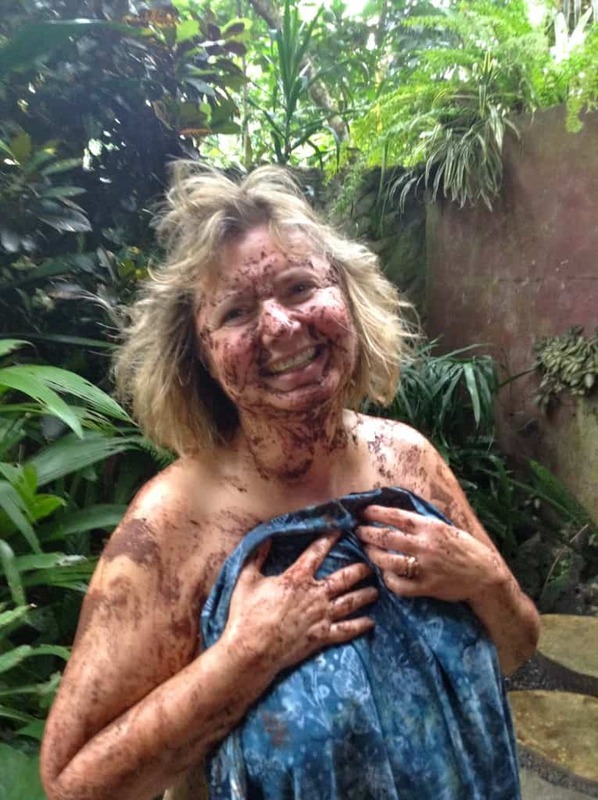 Being slathered in molten chocolate is just some of the fun you can have on a Chocolatour! – embark on a chocolate tour and experience the world of chocolate travel. – develop an appreciation for chocolate tourism and the world of chocolate. ⇒ Audio Interview on the Unapologetically Canadian Podcast, Feb, 2019: https://traceyarial.com/blog/doreen-pendgracs/. ⇒ November, 2017 issue of Toastmaster Magazine: 2 page feature on Doreen here: Chocolate Queen-Mirkin-1117 . ⇒ April 24, 2017 radio interview with CBC’s Information Radio program. The interview is 6:27 minutes long. Veteran radio host Marcy Markusa calls this, “The best interview I have ever done.” See why she was excited! 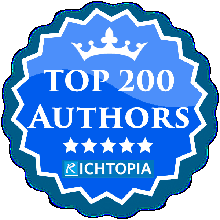 ⇒ March 30, 2017 Express Weekly News article on Doreen’s writing career as an award-winning author. ⇒ Express Weekly News 020917 pg09 Cross to the dark side this Valentine’s Day is a playful story that focuses on tasting chocolate. Published in the Express Weekly News on February 9, 2017. ⇒ Story about tasting bean-to-bar chocolate in the Winnipeg Free Press, August 31, 2016. ⇒ In-depth online interview with Go Ahead Tours, March, 2016. ⇒ Q&A with Media Kitty, April/16. 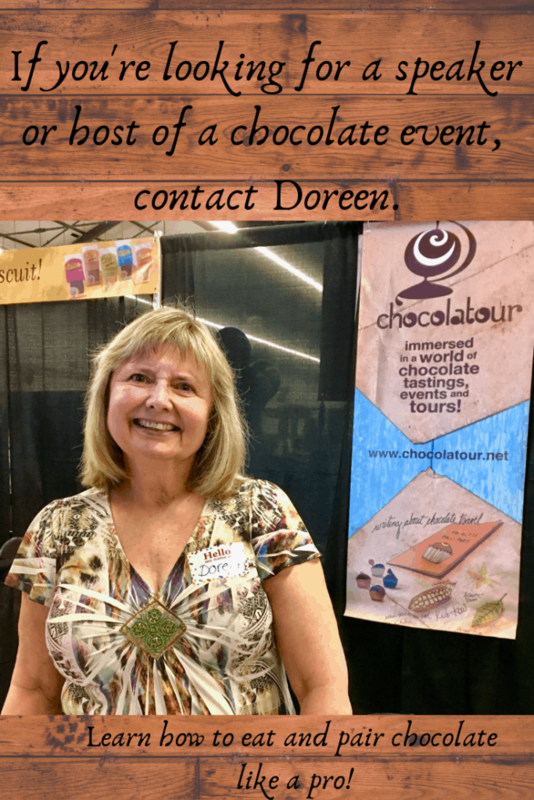 ⇒ Video filmed by videographer Henrik Bodholdt in Costa Rica during the Puerto Viejo Chocolate Festival, at which Doreen was a judge of local artisan chocolate (November, 2014.) The interview with Doreen begins at the 2:55 mark, and continues to the end of the tape at 12:00. ⇒ ⇒Listen to Doreen’s interview with Laurie Hoogstraten on the CBC Radio Weekend Morning Show in February, 2015, about the evolution of chocolate from candy to power food, and the relevance of packaging. 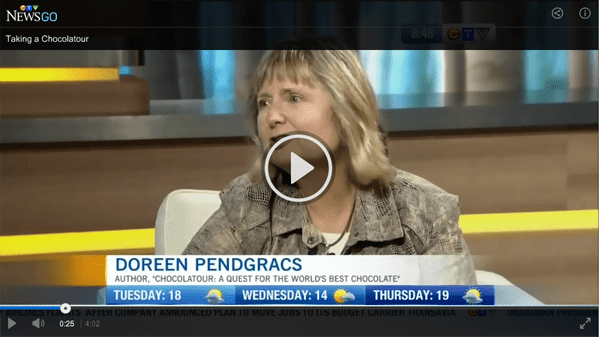 During the February, 2016, interview on the CBC Weekend Morning Show, Doreen guides host Laurie Hoogstraten through the art of tasting chocolate. 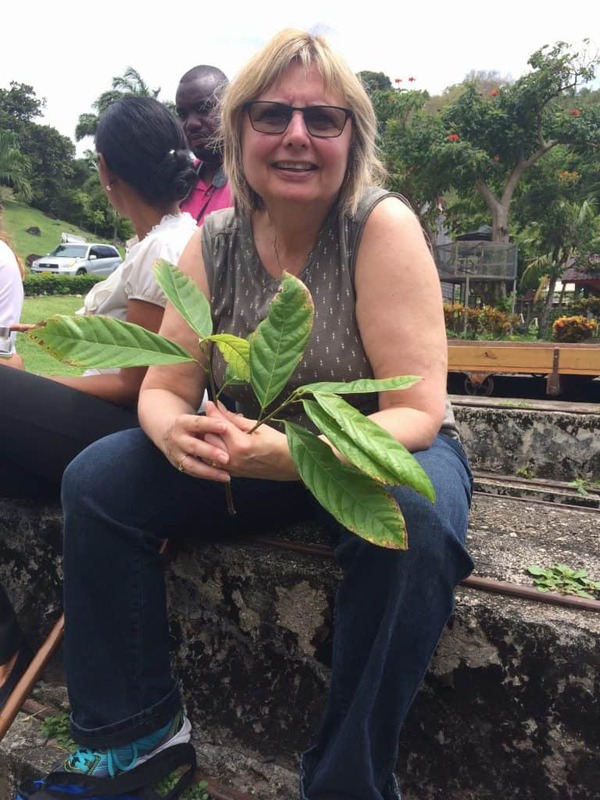 ⇒Listen to Doreen’s interview with Marlene van Helden, of CJ107FM radio in Manitoba, Canada, regarding her research trip to Ecuador and Peru where she stayed with cocoa growers and participated in the harvest.